Suiting is the buzz word for women's fashion this season. You might have caught our styling of pastel colored suits in our Fall Editorial (if not, check it out here)... but with every trend the options start to seem overwhelming. Sarah and I felt the same way when we were shopping, so we are here to make it easy for you.... forget the major fast fashion retailers (for a second) and focus on the small, thoughtful, curated, sustainable brands we are so fortunate to see rising in today's fashion industry. Symbology is our go-to for insanely chic, empowering yet feminine, ethical fashion. 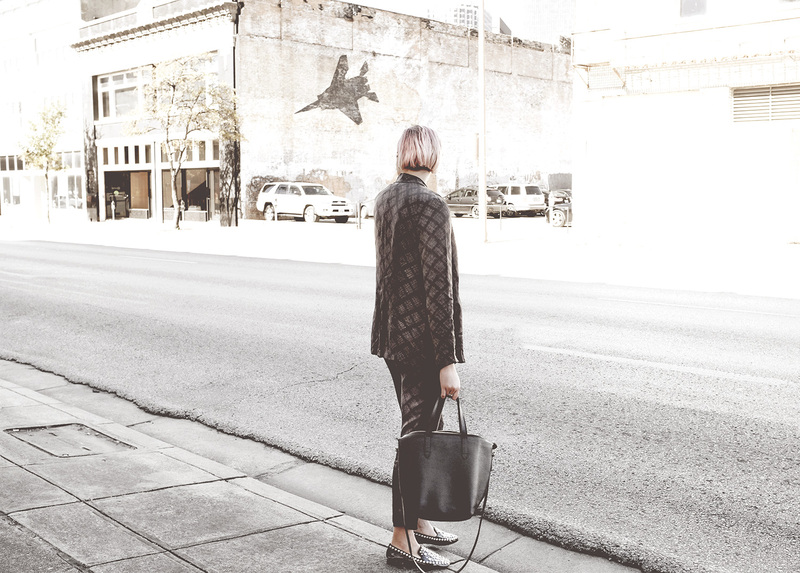 It doesn't hurt that the founder of Symbology, Marissa Heyl, is based here in DFW and one of the coolest and most-down to earth fashion designers we know. Yes, wear suits to work! When in doubt, shop sustainably.